Food scares like “pink slime” have made us all sit up and take a little more notice of what we’re shoving into our faces. 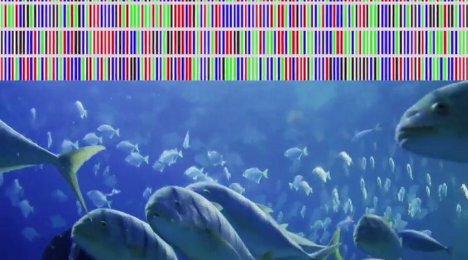 An international project now aims to collect bits of DNA from the animals we eat in order to help us know for sure what we are consuming. The project focuses on fish, since it is not at all uncommon for restaurants and stores to pass off inferior fish as more expensive varieties. The above video from FastCo explains the reasoning behind the project and gives a bit of information on exactly how this amazing feat could be accomplished. Eventually, we could be able to identify our food and its origins – including things like exactly where that tuna was caught – by scanning our meals. See more in Earth & Nature or under Science. July, 2012.